Days of Dark Fire (by Giovanni Smith and Mike Gaughran) is a somewhat lighthearted sword-and sorcery tale, about a screwup prince who’s trying to save his kingdom. 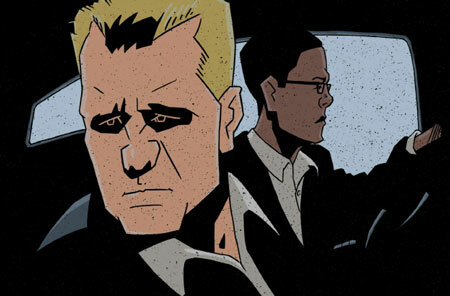 Rage in the Shadows (by Ralph Henriquez and Emilio Utrera) is about a homeland security agent who’s been given a super-soldier type serum that’s killing her. 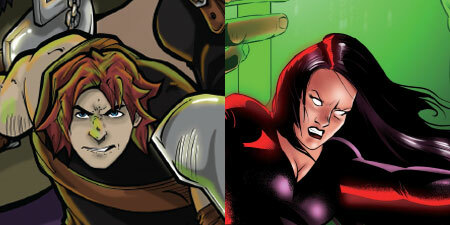 Tim and Mulele discuss both comics, and give advice about how to make them better! Last time, we started to review issue 2 of These Savage Shores by Ram V., Sumit Kumar, Vittorio Astone, and Aditya Bidikar, but we decided to wait and get ahold of issue 1. 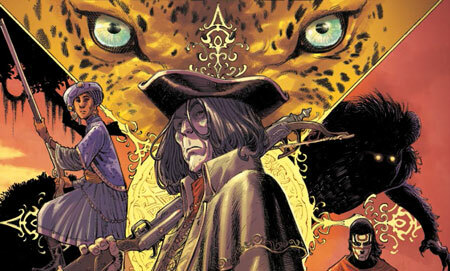 Now we have the first three issues, so we dig into this 17th-century story of India, including a vampire and a masked immortal. Gorky and Izzy are partners in crime – literally – but Gorky’s been dumped by his girlfriend and he’s in a bad way. Izzy is struggling to deal with him in a way befitting a best friend. Tim and Mulele discuss Gorky and Izzy’s Trip to Mexico by F.E. Rahman and Jon Schwochert. Also in this episode… oh, wait, never mind. Next time. 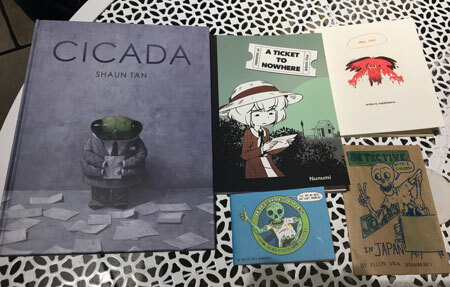 Tim and Mulele discuss more of the comics they picked up at the recent comics events in Tokyo, Comic Art Tokyo and Kaigai Manga Festa. 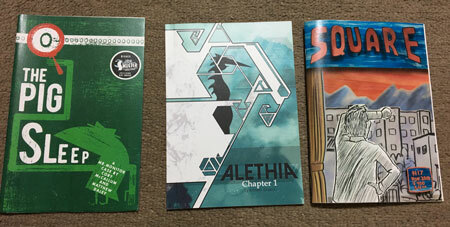 In this episode, Tim and Mulele discuss some comics they picked up at the recent comics events in Tokyo, Comic Art Tokyo and Kaigai Manga Festa. 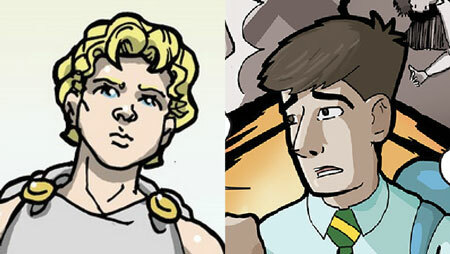 Alex is a Webtoons comic about the life of Alexander the Great, by Dave Malley. How much were we able to learn about the comic’s subject? Andrew Perry and Chris Holmes’ Undetermined centers on a middle-school boy, Robert, who is running into people – including himself — from other dimensions, and they’re getting injured by his actions. What’s going on, and what can Robert do to solve the problem? Lords of the Cosmos, by Dennis Fallon, Jason Lenox, and Jason Palmatier, presents us with a lot of standard-issue baddies who are out to destroy the peaceful planet of Aiden. But what’s the bad guys’ motivation? Who is the hero who will set things right? And, is the material mismatched to the art? If Lords keeps the camera lens too wide, North Bend, by Ryan Ellsworth and Rob Carey, keeps it very focused on a personal level, even though it deals with a future U.S. war with Russia and a powerful drug that the CIA wants tested. The art is beautiful, but are the players in this story competent in their respective jobs? 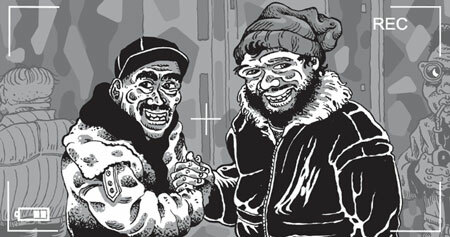 Chad Bilyeu sent us his autobio comic Chad in Amsterdam. As fellow expat Americans, how could we say no? And it turns out to be quite good! Tim and Mulele discuss. Then, Tim explains why his why he won’t have much podcasting time for the next few months, and whether or not to keep Deconstructing Comics and Critiquing Comics going, and how. What say you? The members of a rock band in the UK cope with interpersonal issues and the problems of fame in Vanessa Stefaniuk’s Radio Silence. Horror, from the fantastical, and maybe even a little humorous, to the totally factual, in writer Bill Richardson’s 1000 Nightmares (with various artists). Craig Barstow is playing the lead in a TV show about space exploration. He faces accusations of being a drunk, and finds that the show is getting cancelled. And this is just the beginning of his precipitous fall in the first issue of The World of Tomorrow, by Giles Clarke, Kenan Halilovic, Felipe Obando, and Deron Bennett. Is this comic going in the direction its creators intended? An overweight woman who takes photos of cats. A pair of adulterous Greek gods. A wife who is being cheated on but has secrets of her own. The cheating husband’s mistress who gets work advice from a ghost. 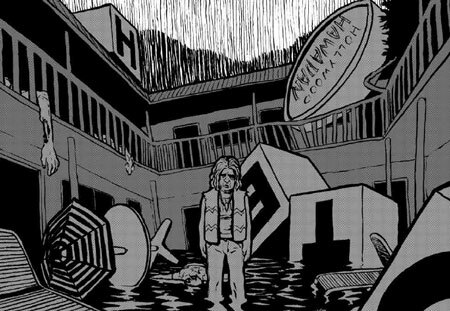 A punk music club where… wait, why is all of this in one first issue? 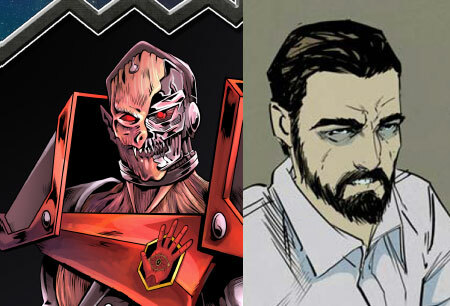 We have some strong words of caution for the Michael Norwitz, Enrico Carnevale, Andrea Blanco, and HdE, the creators of Possession #1. Henshin Man, by Cameron Kerkau, Ben Matsuya, and CJ Standal is just getting started, but it introduces one Japanese hero filling the shoes of another. Guano Guy, by Mark Darden and Nick Hoffman, features a hero who is all about leveraging his being a hero as a way to make a buck. 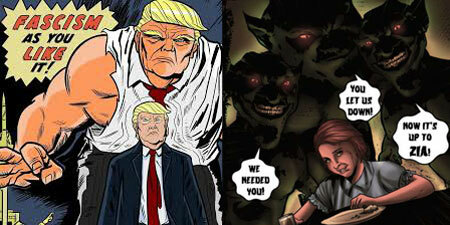 The Incapable Trump, by Omar Mirza and Alex Genaro gives us a Trump who changes into the Incredible Hulk! it looks great, but is this the best approach to take as a commentary on Trump? Empress, by Brian Barr, Chuck Amadori, Marcelo Salaza, and Matheus Bronca, a comic about multiple generations of women haunted by green monsters. Which parts look good, and which parts lose us? 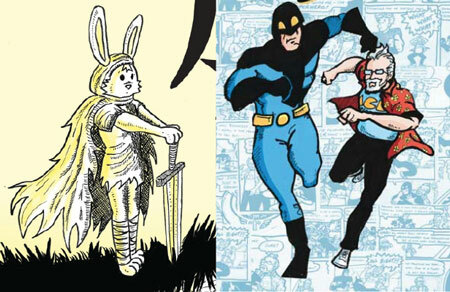 Oscar‘s recent book Tabi (“Journey”) is another silent comic, this time featuring a sword-wielding rabbit. Is that sword to be used for good, or for ill? Ken Holtzhouser brings us The Quick and the Dad, in which a somewhat goofball dad tries to reconnect with his son and discovers that Junior is a superhero! 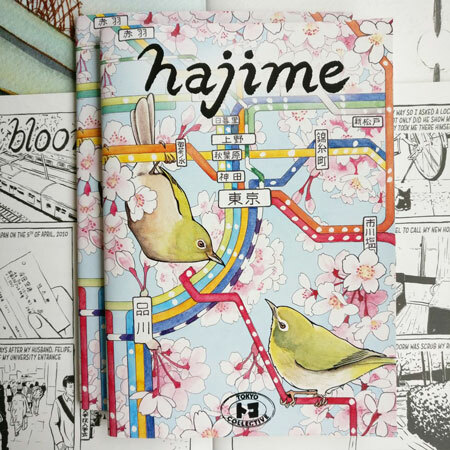 Hajime is an anthology (the first in a proposed series from new group Tokyo Collective, or ToCo) presenting four-page stories from seven artists about their first impressions upon arriving in Tokyo. Longtime Tokyo residents Tim and Mulele discuss. A music star on a downward spiral is experiencing strange visions. It seems that everything he knows is wrong. What’s real and what’s not? Tim and Mulele discuss Eric by Tom Manning. 44:36: The saga of Mulele’s TCAF box reaches its denouement.